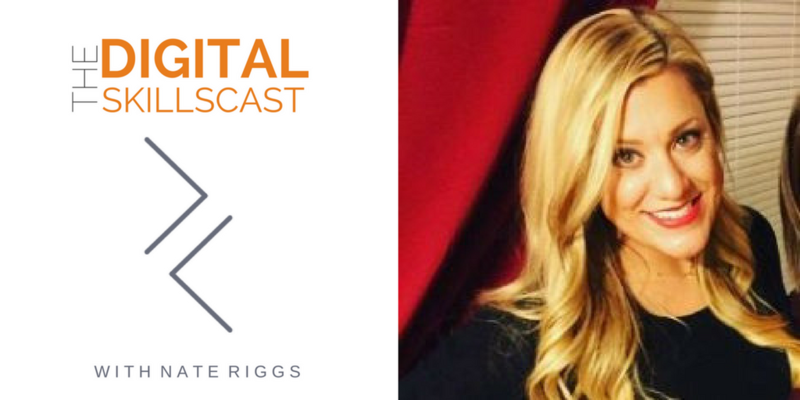 If you don’t know by now, we interview a guest each week who is on the way to closing the digital skills gap. We’ve talked to numerous guests who are out there teaching students in college and universities but we’ve also had some guests that are working to close the digital skills gap from inside a company by adopting new technologies and building a workforce that is equipped with the necessary skills to put them into action. We talked to Tim Brunicardi for our 26th episode. He is the Executive Director of Marketing, Public Relations, and Community Relations at Hocking College in Nelsonville, Ohio. We discussed the surprising ease of this transition from healthcare marketing to higher education marketing and the differences between the two. Hocking College has completed a year long digital transformation. They’ve adopted HubSpot sales and marketing automation technology, organized and activated a team of Student Navigators, and fully relaunched the college’s website. Tim told us what he believes it takes in order to execute a successful digital transformation. The first is someone like their VP of Student Enrollment, Alan McMillan. He brought a high energy vibe to the admissions team, which is the “sales” team of higher education and his presence helped generate a higher response of people interested in Hocking. Tim also said that a good digital partner will help this process. You must surround yourself with talented resources and people to guide you and be viable and dependable. They shouldn’t tell you what to do but instead be willing to work with you to make sure you are putting the best, most effective platforms in place. 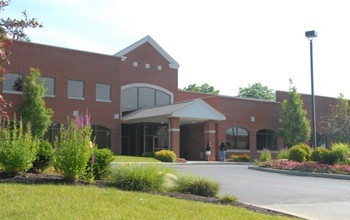 Taking a look at another Ohio-based higher education institution, we look to Hondros College of Business. They are a local school that has carved a deep niche in helping all types of students build and maintain careers in real estate, appraisal, mortgage lending, and insurance. Christy Bernard is a Senior Marketing Manager for Hondros College of Business. Christy and her team have been working to build and optimize the way in which Hondros uses the internet to attract and retain students as well as open and expand their recruiting efforts into new markets. Christy certainly fits the description of a marketing technologist but how would she define it? It is bridging the gap between marketing and an IT, like mixing data and analytics with a creative mindset. From this comes a new digital campaign and a new wave of marketing. Christy graduated from Ohio University with a Management Information Systems and Marketing degree so coming out of college, she already had a good mix of IT and marketing background. Her first project at the agency she began her career at was creating a website and she dove in, head first. This was something she has never done before so she worked alongside developers while utilizing her creative mindset and technology available to her. She has spent five or six years in agencies and began adding social media marketing, email marketing, web marketing, and SEO. She went to numerous conferences where she met new people. Throughout all of this, she picked up on the new technologies available that you need to know within the marketing industry. She can’t even list a number of new technologies that she learned just this year, let alone her entire career. Hondros is in the process of hiring people who have specific skills, just like what we’ve already mentioned. They’re looking for someone who is very comfortable with technology and can learn new things quickly. Marketing can be taught but the willingness to jump into new things cannot so if they show that eagerness, then they’ve put themselves on her radar. Christy can pick up on someone’s ability to be a “doer” through just a conversation. If they haven’t had the chance to execute a project and get that hands on experience, their confidence in their ability to do so will shine through. They won’t be the strategist but they will be the one who can get a blog done, monitor and execute social media and engage with the audience, and prove SEO. If they can take some of the day to day tasks off of Christy’s plate, their career will eventually move in the direction of a strategist. Being in the trenches like this will help you learn strategy. In order for someone who is ready to begin their marketing career or a college junior, almost ready to set out into the world, make marketing your hobby. This is how you will get ahead of the massive technology learning curve. Listen to webinars and podcasts and read blogs in your spare time. It will begin to excite you and eventually, you’ll want to learn everything there is to know. For college students that are a part of academic groups, get involved and be a part of the executive board or leadership team. Working to improve your professional development will have everlasting rewards. If you continue to listen and read and just utilize the internet, you’ll begin to learn and you’ll be so far ahead. Christy has spent that last 18 months of Hondros’ marketing team and she can tell that they have grown quite a bit. There used to be one or two people on staff who were focused on traditional marketing habits. They’ve shifted gears towards more digital marketing managers and started using technology in their favor. This includes adding automation, implementation, and integration. Everything they use will soon be able to work together seamlessly to provide the results they want. The biggest struggle was letting go of what they were used to doing. These were habits that used to work and though they did at the time, they became outdated. You can’t be a higher education leader is you aren’t playing the spaces in which technology exists and upgrading your talent. For Hondros to articulate where they need to put budget dollars, tracking is extremely important. Because numbers don’t lie, they have been tracking everything. If it’s newspaper, there is a claim code. If it’s radio, there’s an 800 number. Everything on social media has a UTM code. This is all so they know where the traffic is coming from. They can look at these numbers and easily point out what makes the most sense and what doesn’t. We ran a report on Hondros using RivalIQ, a third party reporting software company out of Seattle which allows your to build landscapes of competitors and measure items like social media reach and engagement, search metrics, and so on. It showed that Hondros actually dominates fan engagement on Facebook and Twitter in the real estate education space. How are they doing this? Christy was brought in originally to be the social media manager. She believes that you need a mix of typical news feed ads and high engagement posts that will show on your actual page. They are talking to their students, alumni, and instructors to create impactful thought leadership pieces that are featured on their blog. They then share these blogs on social media. On Facebook, they will target each post to their specific audience. They will target the age, city, job title, company, etc. We all know by now that Facebook is one of the best advertising platforms. They also have constant evergreen ads running in the background which keeps people coming to their website. Hondros is looking to expand their offerings into new marketings and social media plays a huge role in this. Facebook offers “Look Alike” audiences where you can take the audience that you already have and Facebook will create a new one that looks pretty similar. It is such an easy way to find potential leads and is more effective than just taking a shot in the dark. Hondros Education Group is the umbrella to hovers over the various companies in which they operate from. On the B2B side, they partner with education providers, corporate partners, and trade associations to bring them custom solutions to fit their needs. It can be as simple as seeing a publisher and getting them textbooks or it can be offering online courses which they can offer to their own students. Then there is the other side which includes the Hondros College of Business, a school in Arizona, a mortgage company, an exam prep company, Hondros Learning, and Blue Ocean Coding, which offers a 12-week coding boot camp. As they grow into this model, they will continue to expand Blue Ocean Coding not just in Ohio, but across the nation. Now that courses are approved, they can focus solely on expansion and offer a great education experience from Hondros, all from the comfort of their living room. 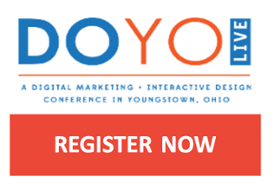 We are just over one month from DOYOLive – a digital marketing and sales conference that takes place in Youngstown, Ohio in August. We are doing a live interview with Dr. Mike Sevilla on how digital marketing and sales skills are impacting Healthcare. If you’re in the area, you can register at doyolive.com and use the promo code: DOYO2017 to save 20% on your pass.